2. What Is a Moving Average in Stocks? 3. How Do Stock Prices Indicate Financial Health? When you buy stock in a company, you're buying a share of ownership in that business. In very broad terms, if the business is doing well, it has a positive effect on the stock price, and if the business is doing poorly, the price may go down. But numerous factors can affect stock prices, including overall market trends, corporate events that change how a company's stock is organized and events like mergers and acquisitions. Stock prices represent how much it costs to own a small fraction of a company. They're influenced by a wide range of factors, but people who can correctly predict them can stand to make good money in the markets. When you buy stock in a company, you're buying a usually small fraction of ownership in the company. The difference between stock and share is simply that the unit of stock that you buy is called a share. In most cases, you buy and sell a round number of shares in a company, but in certain circumstances, it's possible to end up owning fractional shares in a business. For publicly traded companies, you can buy and sell stock essentially freely through an open market, usually relying on the services of a stock brokerage firm to actually process your orders in exchange for a commission. Most investors hope to buy low and sell high, as the old saying goes, meaning that they hope to purchase stocks that will go up in value over time, then sell them for a profit. Owning stock also often entitles investors to attend shareholder meetings and to vote on issues of how the corporation will be governed. In addition to trading, stockholders can make money if the companies they own shares in pay out dividends, which are payments made to shareholders in proportion to how many shares they own. In some cases, companies will also buy back shares, exchanging cash for them, or investors may receive cash for their shares in the event the company is acquired by another business. Some companies have multiple types of stock, such as common stock and preferred stock, which may pay dividends at different rates or convey different privileges as far as voting rights. It's not unheard of for companies to be organized so that their founders or other privileged shareholders have special stock so they can outvote other investors. Make sure you understand exactly how any stock that you're buying or selling works so that you can value it accordingly. Public stock markets can help savvy and lucky investors make money, but they're also valuable to the companies that are listed there. By enabling companies to sell off stakes in ownership through efficient transactions, they let businesses rapidly raise money they need to expand without having to individually pitch investors or lenders. Stock sales have funded endeavors dating back to European exploration in the 1500s and modern industries from the automotive and chemical giants of the 20th century to the technology companies that often dominate headlines today. Stock prices for public companies are widely available. 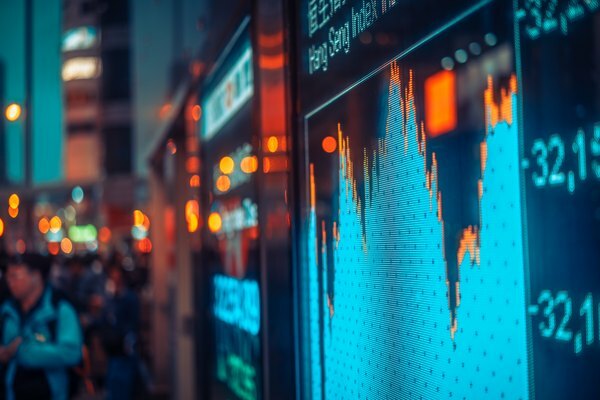 You can find them updated throughout the trading day through brokerage websites and apps, online financial news and information services, and televisions shows and networks that cover finance. Historical prices are also generally easy to track down through those same sources or through companies' own investor relations resources. Publicly traded companies must also disclose various pieces of information on an annual and quarterly basis to the public and to regulators at the Securities and Exchange Commission. These reports and related materials can all be found online through company sites, third-party brokerage and news sites or the SEC itself. Investors will also often look at how particular stocks are performing compared to the stock market as a whole or to companies in a related industry. For example, investors might look at how an oil company's stock has increased or decreased relative to other oil companies, to other businesses in the broader energy industry or to the entire universe of publicly traded companies. People sometimes speak of investments generically as stocks and bonds. Bonds are another type of security that you can buy and sell through public markets, but they don't convey ownership in a company or the right to vote on corporate governance questions. On the other hand, if a company goes bankrupt, bondholders often get paid out a share of whatever money is remaining when the company's assets are sold off while stockholders may get little or nothing. Instead, bonds represent a loan made to a company or another organization, like a government agency, for a fixed period of time. If you own a bond, you will get paid interest either over the life of the bond or, in some cases, when the bond reaches the end of its life, or matures. The value of a bond generally changes over time based on the likelihood the organization will default on its bond obligations, meaning it ceases to pay investors, and based on how interest rates compare to rates available on other investments. Just as individual people receive credit ratings that influence the rates they pay on mortgages or credit cards, companies and governments receive credit ratings that influence what interest they may pay on bonds. Bond rating data is generally publicly available. Low-rated bonds with a high default risk are sometimes called junk bonds, but they can pay a good return to investors assuming they actually do pay out. In general, bonds are often considered a less risky investment than stocks, because they're not as subject to the wild fluctuations as can be seen in the stock market. On the other hand, investors who pick stocks wisely or luckily can make more money over time than those who invest in the bond market. For that reason, younger investors are sometimes advised to put the bulk of their investment funds into stocks, gradually shifting to more conservative investments like bonds as they get closer to retirement and have less appetite for risk. One factor you'll sometimes see discussed when it comes to stock prices is the price-to-earnings ratio, or P/E ratio, of a company. This factors in the earnings per share of a company, which generally refers to the amount of profit a company made divided by the number of outstanding shares of its common stock, and the stock's actual price. Generally, a higher P/E ratio means that investors expect a stock's price will continue to grow. You may also see reference to a stock's price-to-book value. This is the ratio of the stock price to the per-share shareholder equity in the company. That's a publicly available number that essentially reflects how much shareholders would get if a company was liquidated. Some investors look for chances to buy shares when the price appears to be less than an investor would get if the company was liquidated, though others may see that as a red flag that the market anticipates the company will soon be struggling. What's the difference between growth and value stocks? You may have come across these two terms before in investment discussions. Essentially, growth stocks are stocks that are expected to, as the name implies, grow at a rapid rate relative to the market as a whole. They often have a high P/E ratio compared to other stocks, since investors aren't just looking at today's earnings to value the stock. They're also looking at potential earnings in the future. Technology stocks, including software, Internet and biotech companies, have often been seen as growth stocks in recent years. On the other hand, value stocks are ones that trade at a low price relative to their book and P/E ratios when compared to other offerings on the market. They're ones that investors see as a relative bargain, hoping that they'll gain in value. Since nobody can predict the market flawlessly, one investor may look at a particular company with a high P/E ratio and see a growth stock that's going to be impressing markets for years to come, while someone else may see a stock inflated in value by gullible investors following trends. Similarly, what one investor might see as an underpriced value stock might look to someone else as a company that's simply past its prime. If you follow the financial press, you'll often see references to changing values stock market indexes like the Dow Jones Industrial Average, the Standard and Poor's 500 and the Nasdaq Composite. These are all numbers that are compiled by taking weighted averages of the share price of different sets of companies, and they're looked at by investors who are interested in the health of the market as a whole. Since different indexes include different companies, each measures something slightly different. The Nasdaq index generally includes more younger and high tech companies, the S&P contains a cross-section of large U.S. companies, and the Dow Jones Industrial Average includes a set of just 30 major corporations. Other indexes focus on particular industries, on markets in other countries or on larger sets of stocks. If you don't want to invest directly in the stock market, you can also invest in mutual funds, which are generally managed by experts who pool investor money and put it into stocks and other opportunities they expect to do well. A subset of mutual funds are index funds, which invest in the stocks in a particular index, like the S&P 500 or the Nasdaq, or a basket of companies in a particular industry. Some funds are what are called exchange-traded funds, meaning that shares in them can be bought and sold on exchanges similar to stocks themselves. Others can be purchased by working through a stockbroker or the company that manages the fund. Index funds can be cheaper than actively managed funds, since tracking an index doesn't require paying experts to pick stocks and other opportunities for investor cash. Generally, if you hold on to stock or other investment for a year or longer and it appreciates in value, you can pay tax on it at the long-term capital gains rate. For most taxpayers, that rate is just 15 percent, which is often less than you'd pay on other forms of income. Some investors may pay 0 percent or 20 percent, depending on their overall income. Short-term capital gains, from holding on to stocks for less than one year, are taxed at the ordinary income rate. If you lose money on a stock and sell it, you can claim a capital loss on your taxes. You can use this to offset a capital gain or up to $3,000 in ordinary income. If you have a larger capital loss, you can roll it over to future years until it's exhausted. What Companies Make Up S&P Earnings? How Do Underwriters Set Stock Prices?